The very first figures I painted a group of 12 Bonnedig (Levi), armed with slings, one point for Saga. I fell into the hobby when I was staying with my good friend and adversary Omer, whist down on my luck a few years back. He kindly gave me some Gripping Beast plastics to paint with him of an evening and introduced me to the game of Saga which would become a passion of mine. I used his no nonsense approach to painting to get these guys on table and ready for battle quickly. No mucking about ! 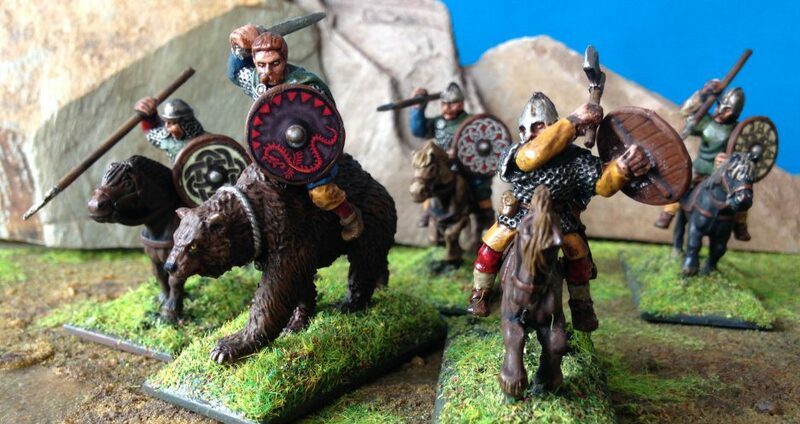 The were closely followed by two groups of 8 Priodaur (Warriors), two more points for my Saga war band. Next > So much to do !